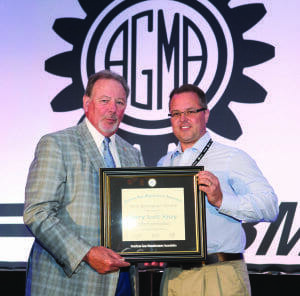 Ann Arbor, Michigan– German Machine Tools of America (GMTA, formerly American Wera) proudly announces the winning of the prestigious Next Generation award from the American Gear Manufacturers Association by its vice president Scott Knoy. 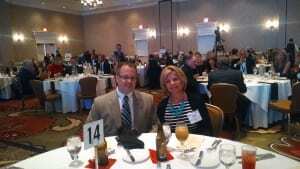 The award was presented at the association’s recent annual meeting on April 11, 2014 at the Vinoy Renaissance Resort in St. Petersburg, Florida. 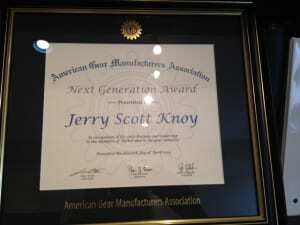 The Next Generation award, in the words of the AGMA Awards Committee, “honors individuals who, while early in their career, are emerging as contributors, innovators and/or leaders in the gear industry and who serve as role models for others in the next generation of the gear industry.” Knoy has been active in service to the gear industry for 20 years, serving first for 11 years with major machine tool supplier Gleason and now in his ninth year with GMTA, where he oversees the sales, strategic planning, project management and marketing efforts for this major supplier of machinery to the gear, powertrain and other industries. In addition, along with company president Walter Friedrich, he spearheads the ongoing effort at GMTA to educate and nurture the next generation of leaders in the gear industry, an endeavor to which the company has a great commitment. 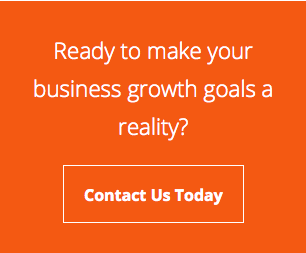 GMTA supports local schools in their tech training and also Eastern Michigan University in its unique “business in a second language” program.